What a great book! I tagged its pages in three different categories throughout, as you can see. I'll tell you all about it! But let's begin at the beginning. Reading this book was a lot of fun. I requested it from the publisher, Artisan, because I love reading Gabrielle Blair's blog: Design Mom. I would say if you like the blog, it is a safe bet you will like the book. The book isn't exactly like the blog. The book reminds me most of Design Mom posts like this one, about Christmas stockings. I love her blog and I loved meeting Gabrielle. 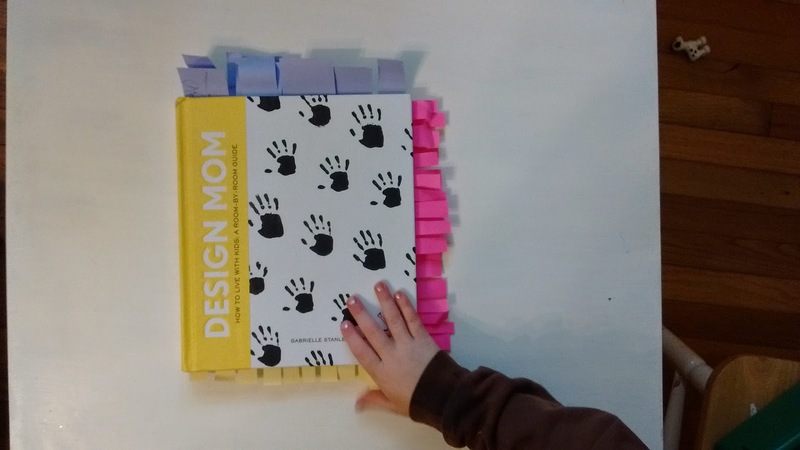 But what if you don't already read Design Mom? Let me tell you more about the book. It is very conversational in tone. It is a pleasure to read, and feels like a chat with a friend. The only problem with that is that it wasn't *actually* a conversation so I couldn't ask the author to tell me MORE! I mean, I could have read double as much. Wanting more—more stories, more details—was my only complaint with the book. And that's not really a complaint, it's a compliment. I loved the photos, all gorgeous and lovely, even when they didn't suit my personal design tastes. Some photos took up a whole two-page spread! A feast for the eyes. This reading nook looks so inviting . . . This is the kind of lovely photography we are talking about. Photo by Seth Smoot, styling by Kendra Smoot for Design Mom. 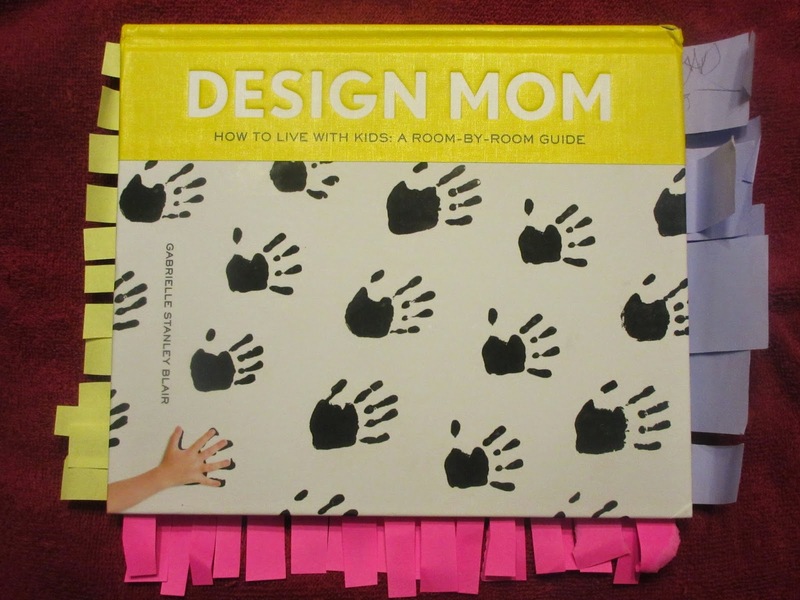 The book is all about designing your home to meet your family's needs—assuming you have kids. That's cool because I have kids (currently ages six, four, and one). The Blair family has six children ranging in age from high school to preschool. (You may know them from my favorite online video series, Olive Us.) Because she has kids in a wide spread of ages, Gabrielle can share from experience needed contingencies for older kids, for younger kids, and for when older and younger kids need to work together in a space. Each room detailed in the book is broken down into snippets of advice—sometimes one page, sometimes a two-page spread. At times the advice is very concrete: "Let Your Coats Come Out of the Closet" is a snippet in the section of the book about the entryway. It makes a case for displaying your coats in your entryway, instead of keeping them in a closet. Other times, the advice Design Mom gives is quite abstract: "Aim for Function + Beauty" is a section dedicated to a formula for getting rid of clutter and surrounding yourself with items that will bring you joy and make your life easier. Now, let me tell you about my sticky notes. The pink notes mark pages that I found myself thinking about when I wasn't reading the book—great ideas that I thought I could put into practice once we move to Connecticut, or just concepts I found myself mulling over while eating my morning bowl of cereal. For example, "Storing Artwork and Homework" is often on my mind at breakfast, because I sit and stare at the pile of stuff on top of our craft dresser as I munch. Gabrielle's advice from the section on task lighting came to mind when I was squinting over a project. And the Fabric-covered Bulletin Boards look so easy that I want to make several for our new place, once we get there. But I'm absolutely not hanging anything new on my walls nine weeks before we move. The little mantra that this book gave me and which has been playing in my head ever since is, "Do what works now." It is reminding me to not tackle projects like the bulletin boards yet. It tells me not to give away the couch until we're a little closer to our moving date. 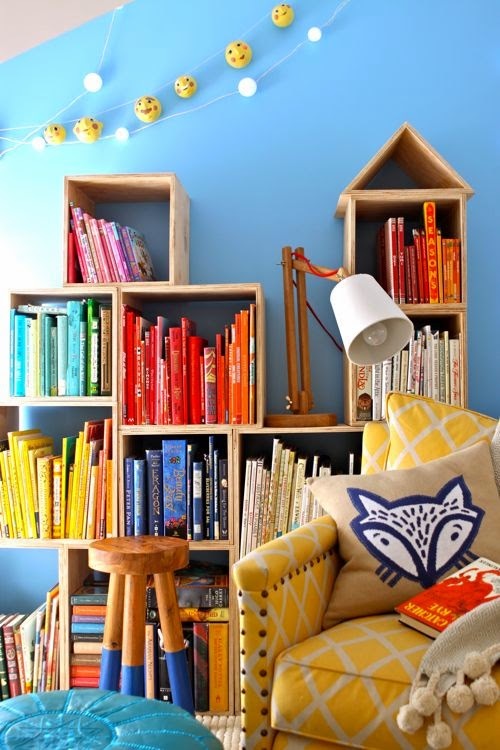 And it is inspiring me to go whole hog for rearranging the furniture to shift where the library books belong, so that they belong right next to the couch where they always end up anyway. Good grief, I like it enough that I'm going to give a copy away! [This giveaway is now CLOSED, but you can still sign up here for future giveaways] If you would like to enter the giveaway, I'll need your email address before April 22, 2015 . It's infinitely easier to contact a winner when I've already got an email in hand. And the most private and convenient way for me to get that is for you to subscribe to my email list, below. I promise I won't bug ya. You can read more about my email list here. You can read the full giveaway policy here. Those who already subscribe are also eligible to win. 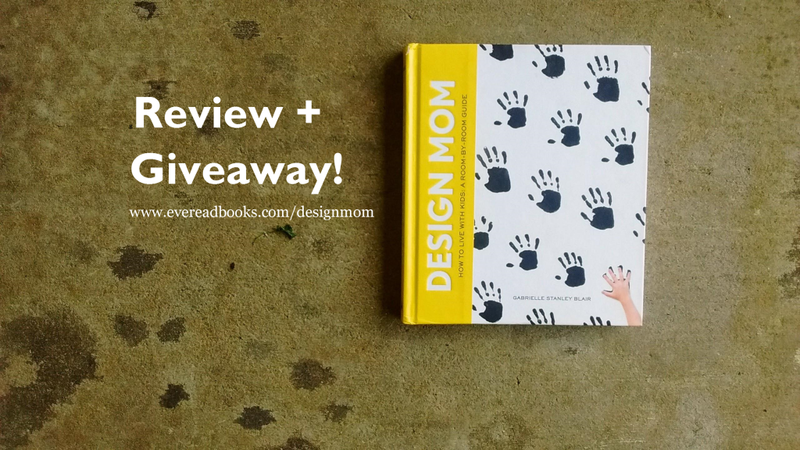 Put your email here for a chance to win the Design Mom book! Now tell me your thoughts! What questions do you have? Leave a comment, below. To be clear: I was provided with a copy of this book by the publisher with the understanding that I would review it here. I am not being provided with a copy to give away. ** I'm just going to buy a copy for someone who wants it. I'll probably use my own affiliate link. Ha! **update: Artisan has graciously sent a copy for our winner. Congrats to Jenni Livingston! And many thanks to Artisan. When I entered my email address, nothing happened...maybe that's because I've already subscribed. I'm pretty sure I've already subscribed. My email doesn't show as submitted, either, so hopefully I'm in :). I'm sure every momma could use this a copy of this! Thanks for checking in, Leigh. The form wasn't quite right I guess. I've got it fixed now, and if it gives us any more trouble there is also the Hello Bar up top that can be used. I'd love to win this book. I've enjoyed reading your latest reviews. Keep up the good work, Alysa! Yes the email worked this time! Loved this review. I'm a SAHM and I take my job seriously. I'd love sone tricks on how best to use our spaces. Making them more efficient, helpful, beautiful, pleasing etc. How fun to get to move after reading it to put it all to good use from the start. I know, right? I was like, "The timing of this could not be better!" Wow, what an endorsement! Gabrielle's Living with Kids series has been one of my favorite features on her blog so more of her ideas sound great and what gorgeous pictures too. Thanks! Yeah, this is definitely more in-depth than the Living with Kids posts. You'll love it! I'm glad you reposted about this giveaway on instagram because I totally meant to enter a week ago and forgot (plus, I'm kind of baffled that I wasn't already subscribed to your blog. What?!). Anyway, it's so nice of you to give away a copy. And even if I don't win, I'm definitely going to be reading this book! Haha, in that case I'm glad I posted again, too! I think you'll love it, Amy! Sounds amazing! I hope I win. My house needs a serious design overhaul. Absolutely beautiful! I was worried the book would simply be a rehashing of what's already available on the blog. Instead I found it to be original, informative and very non-overwhelming. Most design books make me feel like I need to throw out everything I have start over. This is helping me find beauty and simplicity in my as-is home. glad you liked it, Marlene!